One of the most reliable wind places in Asia is Vietnam. It’s becoming more and more popular as there are many great spots that just has been discovered. 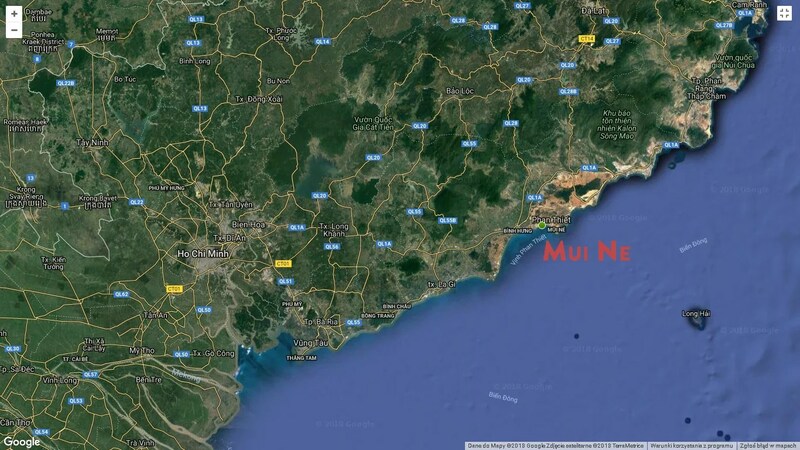 Mui Ne’s high status is already established and there’s nothing that can change it. 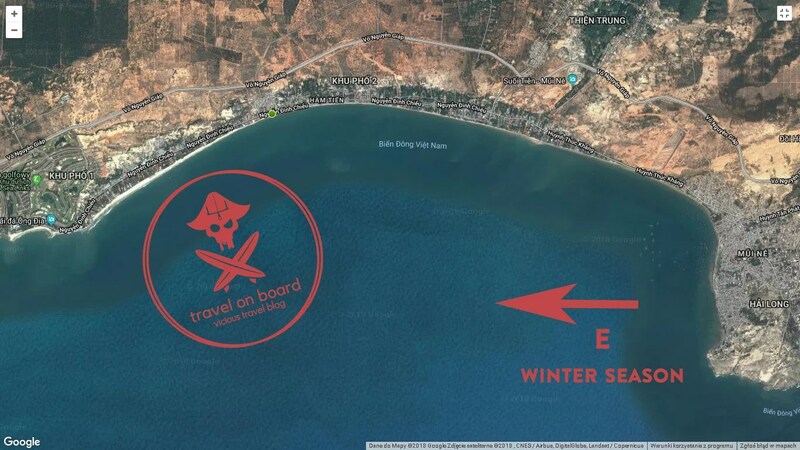 GENERAL LOCATION: The spot and the beach are called Mui Ne but actually on the map it’s the land between Mui Ne (which is fishermen village) and Phan Thiet city. Most tourists arrives to Mui Ne from Ho Chi Minh (Saigon) which is about 220 km to the west. Recently direct buses from the airport to Mui Ne has been opened. If you look for cheaper options: there’s a public bus from the airport to Pham Ngu Lao street but it may be a bit of a hassles if you come with the equipment. Other than that – take a taxi to Pham Ngu Lao and there you have few corporations with buses operating between Saigon and Mui Ne. Read HERE about all the transportation options. 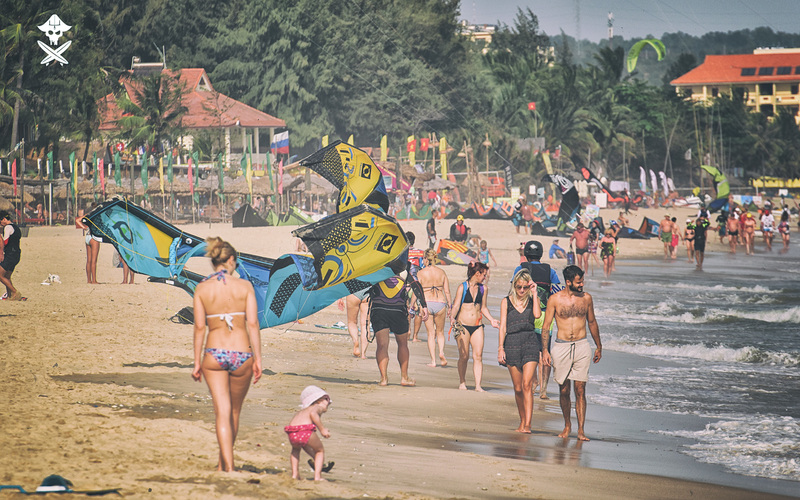 PRECISE LOCATION: the kite spot in Mui Ne is 3km long beach at the south west part of the gulf. Shore erosion is quite a big problem the place is facing now. The more to the east the narrower the beach. There are places where water starts to destroy the infrastructure. The more to the west the wider and more pleasant the beach is. 10km to the east is another well know spot: MALIBU. Click to read its review. WINDY SEASON: the season starts with November and it ends in April but first and last months are not that windy. WIND DIRECTION: predominant wind direction for the spot is East what makes it side on shore. The wind is usually changing during the day. In first part of it it’s more on shore and at the end it’s side shore and sometime even a bit side off. WIND QUALITY RATING (1-10): 5.5 – the wind in Mui Ne Beach is quite gusty. The worst period is afternoon when it changes to side, side off shore and your bar starts too be like a pneumatic hammer. That’s why I recommend to go kiting around noon. KITE SIZES: if you are coming for a longer period and don’t mind kiting every single day than 9m is everything you need! Awesome ha?! For lighter days 12m should be enough. If you ride strapless take also 6 or 7m. The size that I use most often is 9m (75kg weight on a TT board). FORECAST RELIABILITY: forecasts works quite well for the spot in Mui Ne. Please have a look at the clouds coverage as it destroy thermal effect. If there’s no clouds one can expect a bit stronger conditions as forecasted (plus 2-3 knots). C2Sky Kite Center has a live camera and a wind station (because of it’s location you can add around 3 knots to the readings). Click HERE to check camera and wind. FREESTYLE RATING (1-10): 2 – the water in Mui Ne Beach is more or less just the chop that vary from 0,5cm up to almost 2 meters. Still some freestyle is possible when the wind is lighter, swell smaller and you’re regular (left foot in front). So there’s no sense to take boots as well as to expect some freestyle progress. WAVES RATING (1-10): 4.5 – let’s be honest – there’s no breaking waves in Mui Ne but the chop is big enough to let you progress a lot on strapless surf board. Actually this spot is the best for strapless riding. If your level’s good than riding the shorebreak gives a rush – especially that you need to steer clear of swimmers and different buoys. DEPTH OF WATER: the water is deep and the shorebreak is big. This is something you have to prepare yourself for and learn how to cope with it. If you don’t have experience with strong shorebreak please ask instructors in the kite center about some hints – otherwise the whirlpool will eat you. Just don’t let this factors demotivate you as flat sea never made a skillful sailor. TIDES: irrelevant. Tides in Mui Ne are small and atypical. Nothing you should bother about. WETSUIT: in the main season no wetsuits needed. There are some days with a bit colder wind so if you are thermophilic than take some rush guard or thin wetsuit. (Take 2/3 if you will work as an instructor!). DANGERS & ANNOYANCES: the biggest danger is the strong shorebreak. If your kite will fall into it than… there are good repair shops around. When riding the shorebreak look for the swimmers – it may be hard to spot them between waves. If you came with the twin tip and want to work on new freestyle tricks than you will swear on the chop hardly. Other than that – look under your feet when walking on the beach. Vietnam’s waters are very polluted and finding glassy bulbs and other sh#t on the sand is nothing unusual. 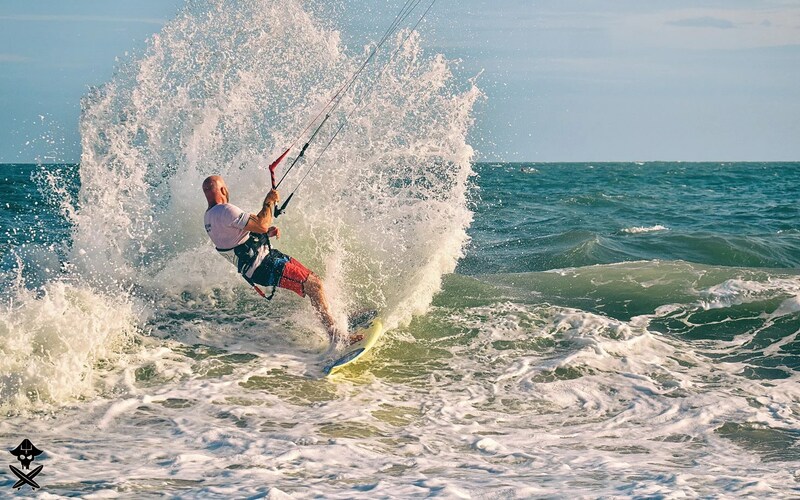 KITESURFING COURSES SUITABILITY (1-10): 5 – giving a proper rating here is not easy as for some people deep water and waves is the factor that will scare them and may demotivate. In the other hand deep water is much safer than places with too shallow water. Other thing worth to consider is wind exposure. Every day wind ensure stable progress and thus increase success ratio. Last but not least – in such conditions there’s no shortcuts – you will get proper and safety oriented course. WIFI ACCESSIBILITY: wifi is very popular and almost everywhere you can get connected: hotels, bars, kite centers – just ask for the password and you’re on. PICTURESQUE: Mui Ne might not has the beauty of the pearl but it has its own exotic splendor. If you booked hotel right in the first line with view at the South-East Chinese Sea than you will be surrounded with neat palms trees, colorful flowers and plenty of different greenery. ACCOMMODATION: there’s enormous amount of possibilities for any budget. Hostels, guesthouses, hotel, villas for rent. Just remember to consider Chinese New Year holidays! During that week expect plenty of tourists and issues with finding accommodation. COSTS OF LIVING: Vietnam is super cheap. If you look for budget destination do not look further. More details will come in a separate article. NO WIND ACTIVITIES: no wind?? hahah rather don’t expect having no wind days but if it will happen than just relax. Tour agents offers lot of trips. You may go watching the sunset from the dunes that are close to Mui Ne. If you would like to see more kite pictures – please visit our high quality gallery. 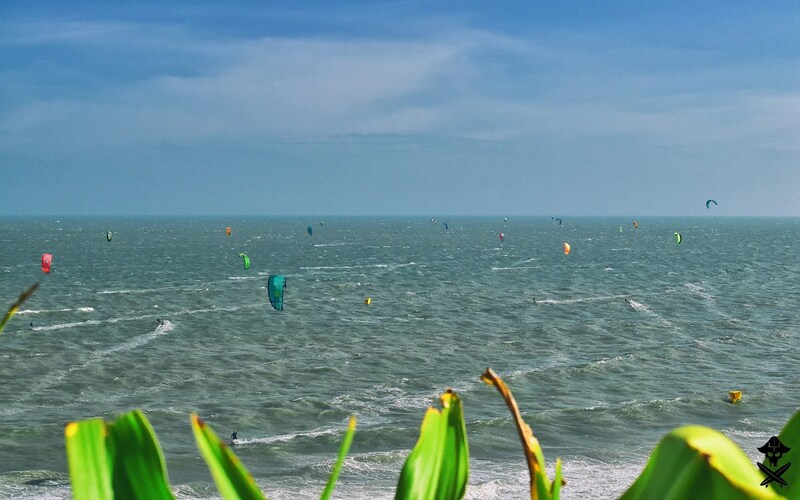 If you’re looking for the pictures from Mui Ne – one of the best kitesurfing destinations in Asia than check here: Surfpoint Kite School or Big Air Competition. If you still here I guess you liked Mui Ne – one of the best kitesurfing destinations in Asia. Don’t be egoistic and share this article with your friends – you have a share button just under this sentence. 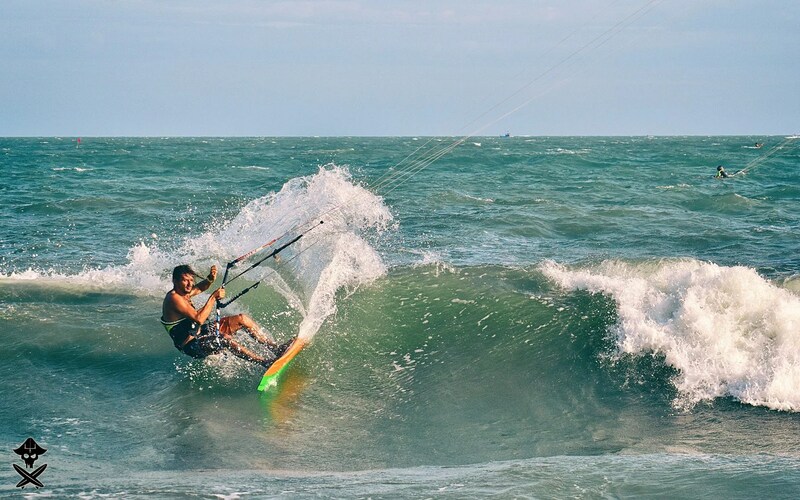 Everything you need to know about kitesurfing in Mui Ne, Vietnam. 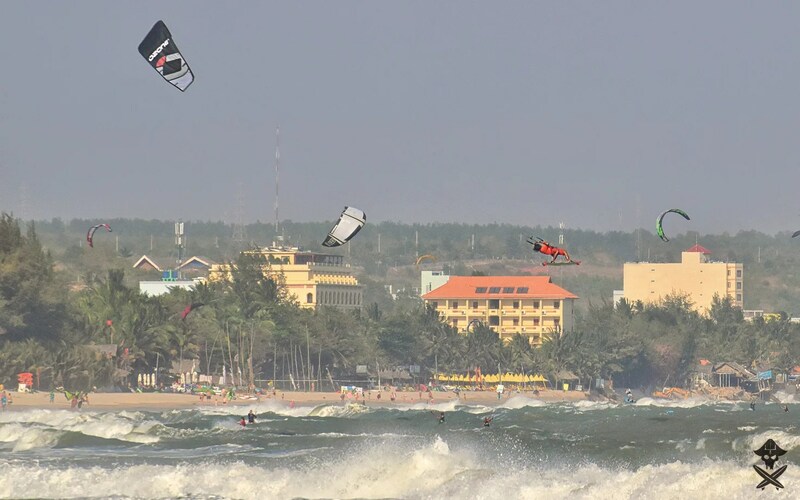 Mui Ne is one of the best kitesurfing destinations in Asia. Spot Advisor rated this kiteboarding location with 6 points (out of 10). Check why and share with us your opinion. Very good review…I have been coming to muine for 15 years and its all very well describe….also I think you should have mentioned that for waves..malibu side by the red sand dune is an other spot for waves from 1.50m to 3m often…. I haven’t heard about Vinh Hy… where is it?